Our correspondent gets low down and dirty with his household appliances. Ideally, an article on the theme of economy should contain no words at all – a conceit I did explore briefly, but the results proved disappointing. Instead we reprise a piece from DTW’s early days which I’m forced to concede, runs to 1941 words. So while on one hand it does meet the brief, it also misses it by several nautical miles. Sorry. 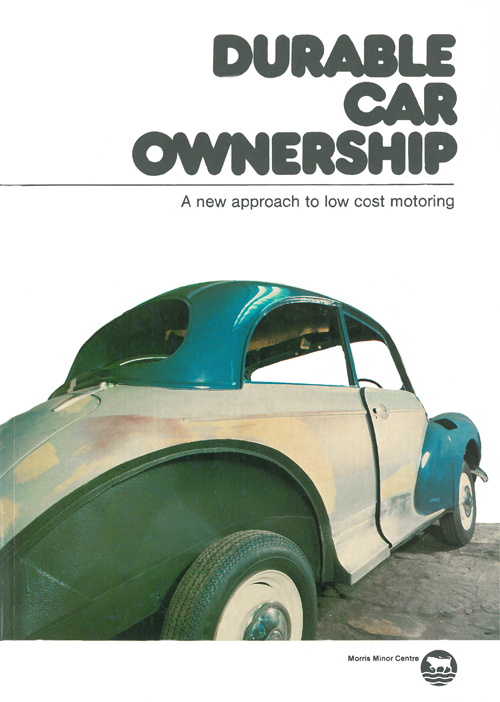 The fact that ‘Durable Car Ownership – a new approach to low cost motoring’ didn’t knock Jackie Collins off the best seller lists in 1982 is probably due as much to its minority subject matter as a sorry lack of carnal shenanigans. It wasn’t a fashionable subject then and given that it’s been out of print for some years, probably wouldn’t be now.